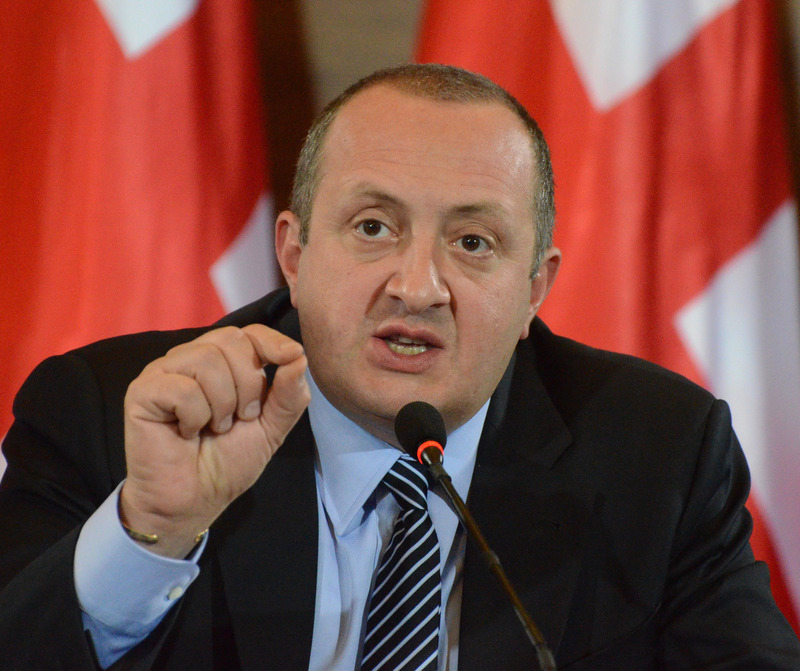 TBILISI, DFWatch–The Georgian president Giorgi Margvelashvili says Russia has no means of influence that could divert Georgia from its course toward integration with Europe and interrupt the signing of the Association Agreement next year. In a TV interview on Tuesday, the president said that it would be incorrect to think that what is happening in Ukraine will also happen in Georgia. “We must be careful and be concentrated in one direction – society must be modernized and we must sign the Association Agreement in near future,” he said. Foreseeing past experience, Georgia counts risks, he continued, and seeing risks shows that Georgia has a firm position and is less exposed to being influenced. The journalist asked if the government expects that Russia may use the fact that it has reopened its market for Georgian goods as a means to pressure Georgia, by threatening to close the trade again. The president said this is a possibility, but he thinks this is not a threat which would outweigh Georgia’s European choice and force the country to change its foreign policy. Margvelashvili said bilateral trade with Russia is not of an extent that could cause destabilization in Georgia if the trade is be closed again. In 2006, Russia imposed an embargo on Georgian wine and mineral water which was seen as political pressure, although it was grounded in concerns over impurities. The same type of trade embargo was used against Moldova and Ukraine as well. Bidzina Ivanishvili’s government started talks with Russia in the end of 2012 to lift the embargo and Georgia now exports wine, fruits and some other agricultural products to Russia. Figures from the Georgian National Statistics Department covering the first nine months of 2013 show that after the resumption of trade with Russia, that country has become Georgia’s fifth largest trading partner. The trade turnover with Russia in this period was USD 501.7, which is 35 percent more than the same period last year. In 2012, Russia was Georgia’s sixth largest trading partner.